Christian Vernon Dale hasn't been seen since he fell overboard Sunday night. BOISE COUNTY — The search for a Boise man who fell off a moving boat Sunday night at Lucky Peak Reservoir has turned into a recovery effort now that Ada County sheriff's deputies are certain that he has drowned. 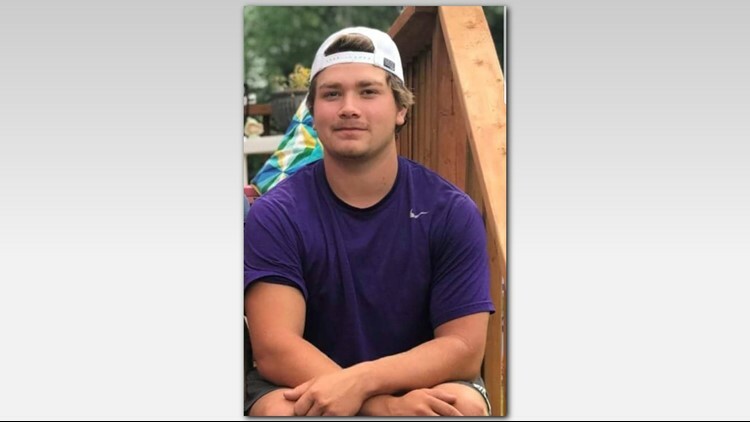 Friends of Christian Vernon Dale, 21, reported that he fell off a boat that had nine other people on board at around 9 p.m. They said they were heading to the boat ramp at Barclay Bay after spending most of the day on the water when a hat flew out of the boat near Gooseneck Bay. The driver turned the boat to go get the hat, and Dale fell off the bow where he was sitting. Other people on the boat immediately searched for Dale, but they didn't see him. They drove to the Spring Shores Marina to call for help, and Ada County Sheriff's Marine Patrol deputies responded to search the water. Searchers used infrared technology aboard a helicopter to search the entire reservoir, as well as the shoreline in case Dale was able to swim to shore. Dale - who wasn't wearing a life jacket - hasn't been seen since he fell overboard. Deputies have used sonar equipment to search the water, and also a drone, but water movement and depth have complicated the search. The sheriff's office said the reservoir is about 105 feet deep in the area where Dale went into the water. Officials said the other people on the boat and Dale's family have cooperated fully with deputies and helped in the search. There is no information or evidence suggesting foul play was involved. Christian "Buddy" Dale was a member of the Boise State Men's Hockey Team. The Boise State Hockey Club called him "a true champion on and off the ice" in a Facebook post on Wednesday.